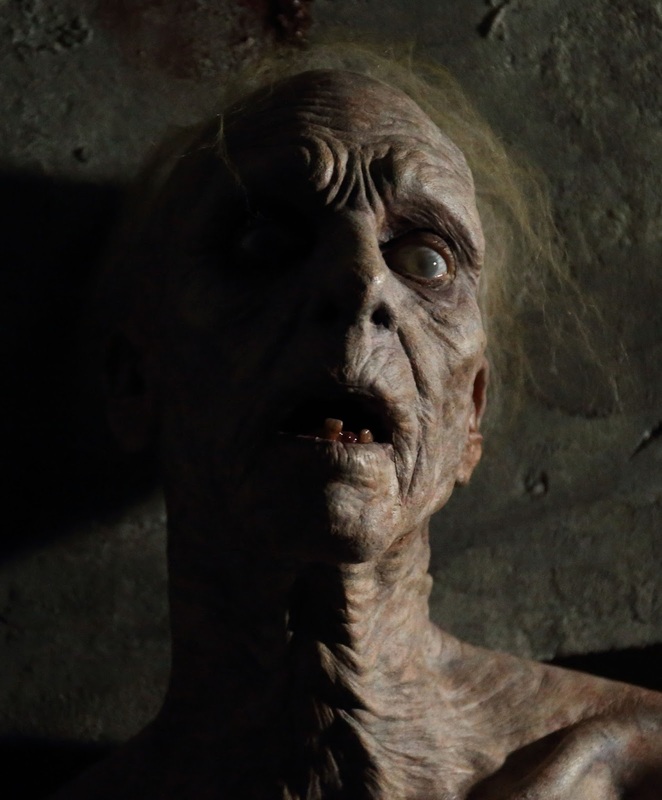 This is a trailer for Gehenna: Where Death Lives. Doug Jones, star of the Academy Award winning The Shape of Water, gives a mind-blowing performance in Gehenna: Where Death Lives, in theaters and On Demand May 4. The feature directorial debut of celebrated effects master Hiroshi Katagiri (Jurassic Park III, Pacific Rim), who also provides the film’s impressive effects, Gehenna co-stars genre icon Lance Henriksen (TV’s Millennium, Aliens), Eva Swan, Simon Phillips, and Justin Gordon. It will be released in theaters across the U.S and on digital May 4th by Uncork’d Entertainment. Check out the synopsis, trailer, and stills below. "Encompassing horror, suspense and a twist that will blow your mind, Gehenna fixes on five people who enter a hidden bunker from WW2, and realize it's way more than a bunker. Some fates are MUCH worse than death. Spectral Motion, known for award-winning work on such films as Hellboy and Looper, did the makeup effects on the creature played by Jones.